The outing brings together our business associates, partners and investment managers for a fun day on the course to benefit a very deserving cause. Cumulatively, we have raised over $400,000 for these local organizations. Every year, we close our offices for one day to encourage our associates to dedicate their time to charitable organizations. 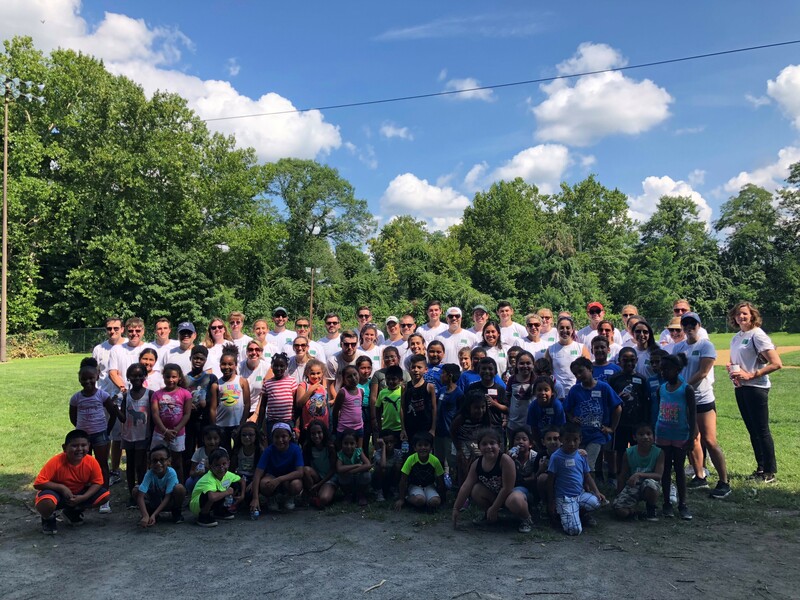 Some of our favorite events include fielding a team for the Cornerstone Family Programs Annual Bowl-a-thon, working on a new house for the Morris County chapter of Habitat for Humanity and putting together a field day for the kids at the Morristown Neighborhood House Summer Camp. To see photos from our annual community service day please visit our Facebook Page. The Massey Quick Simon team at the Morristown Neighborhood House Summer Camp during our 2018 Community Service Day.